British BDS activist goes on racist rant on Air India flight, threatens to launch boycott of airline if crew refuses demands for wine. 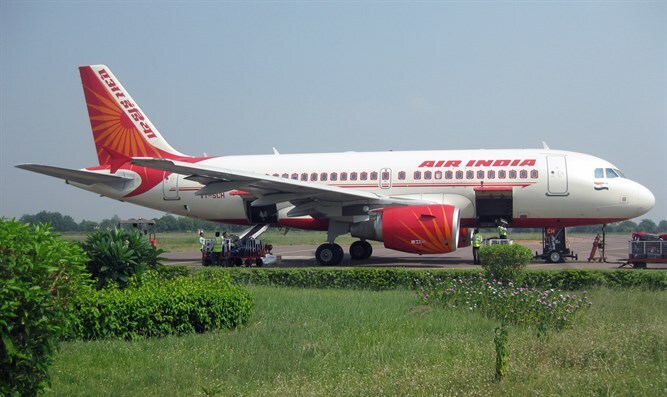 A British activist promoting boycotts against Israel was filmed threatening similar action against Air India unless flight attendants serve her wine on a flight that ended with her arrest. Simone O’Broin, 50, went on a tirade aboard an Air India flight from Mumbai to London Heathrow on Saturday, the Mail Online reported Wednesday. London Metropolitan Police said that O’Broin was taken into custody at Heathrow Airport upon landing. “She was arrested on suspicion of racially aggravated public disorder, common assault, and drunk and disorderly and taken to a west London police station,” a police spokesperson told the newspaper. She was subsequently released under investigation, the spokesperson said.